What is Text Message Marketing Canada? 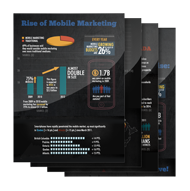 Text message marketing Canada, mobile marketing Canada and SMS Reseller or known as text reseller revolutionizes mobile marketing assisting businesses of all styles engage their clients in the most effective approach with Text message marketing Canada through their mobile devices. Using GalaxyText’s industry-leading solutions, we help internet marketers and clients strategize, launch and sustain their mobile campaigns and manage their databases through our world-class mobile platform. GalaxyText’s incorporated platform like SMS Text message marketing Canada to produce by the identical programmers who developed the Euro 2012 Mobile Marketing Platform and initiative. We provide you with the best prices in Canada largely because of the fact that our platform was designed in-house (Montreal, Quebec). So unlike 99% of our competitors (resellers) that are generally offered identical platforms with high prices, ours uniquely separates itself through the rest by providing more features for example survey’s, trivia’s, voting/polling, text-to-screen etc…). You are certain to have the best platform in the world and a new flow of consumers. Learn more about Text message marketing Canada.